Perfect boyfriend blazer! This is Dunja featuring two side seam pockets, cut outs at the lapel and a button to close it if you’re cold. The blazer has a beautiful recycled lining out of chiffon. 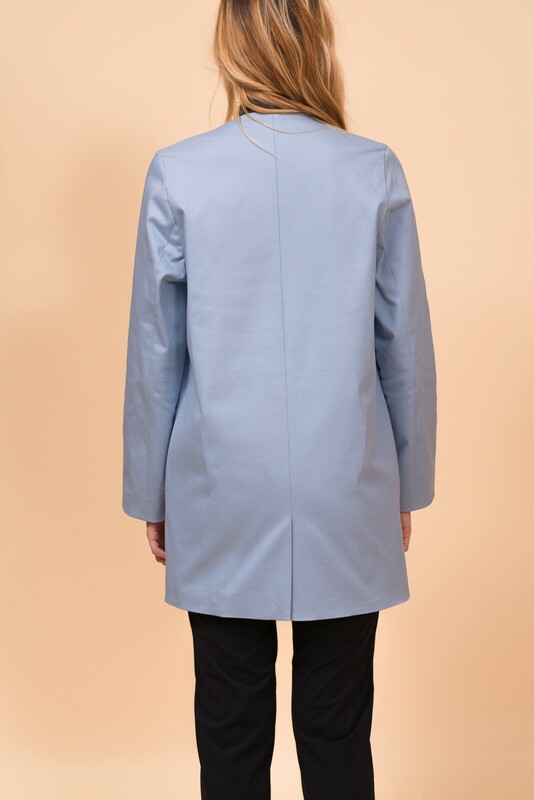 The Dunja Blazer is made in 96% organic cotton and 4% elastane twill bioRE certified, the lining is 100% recycling chiffon. 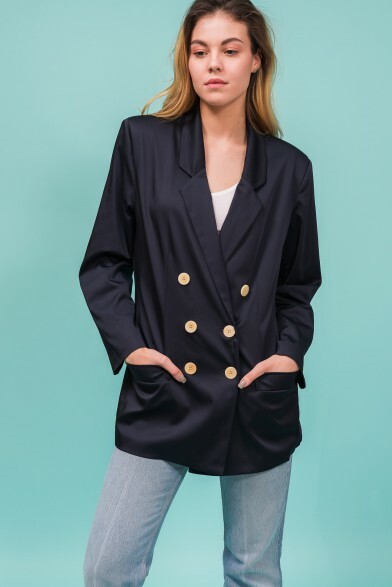 This blazer is named after a German journalist, Dunja Hayali, known for her fight against racism and hate in our society. In 2016 she won the Golden Camera, an important German TV award and held a famous speech.